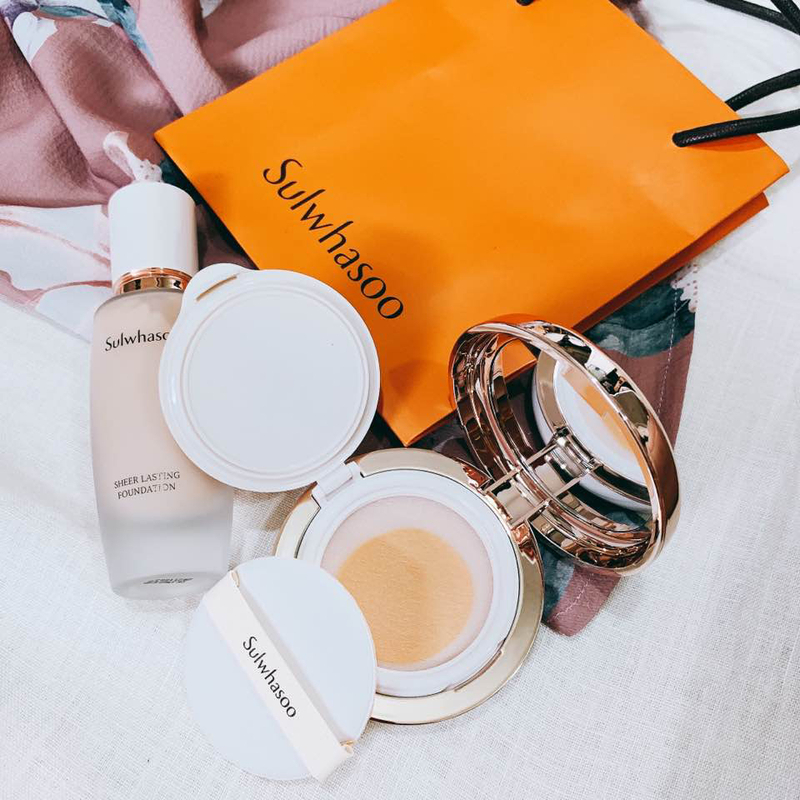 Sulwhasoo Sheer Lasting Gel Cushion / Foundation - Detailed Review! Was very kindly provided with SWS’s Sheer Lasting Gel Cushion and Foundation to review recently! Let’s talk about the cushion first. It’s not your typical cushion foundation cause this comes with a mesh (it really reminded me of the I’m Meme I’m Mesh Cushion reviewed here.) and it has this gel formula that’s really lightweight. I was v impressed with the satin-glowy finish when I tried it on the back of my hand. I also am in the shade 17, which I thought would be too light but it isn’t actually! I tried it out a couple of times for this review. The first time I tried it, I didn’t take any pictures cause I wanted to see the finish for myself and how well it lasted. I was VERY surprised cause t didn’t take much, just a light layer and my skin looked DAMN GOOD. It also lasted well - I wore it out for 7 hours and didnt blot. Second time I tried it, I took before and after and I’m not bias ah. U can see the results yourself. My pores were completely blurred out, my redness was covered up and my skin was like airbrushed in real life. It was very very nice. Like my skin but a hundred times better. It didn’t emphasize lines as well and i feel like it looked even better with time! The first time I tried it, I used a beauty blender. The damp sponge made the foundation streaky and patchy so I had to abandon that try. It was horrible. It was almost moving about the entire day and I was OILY. I watched the video and saw Kevin 老师 shaking the bottle before use and working the product in with his fingers so I decided to try it a second time that way. Second time I tried it, I shook the bottle for awhile to make sure everything was mixed well and used it on top of my Palladio Rice Primer that I love and I used my fingers to work the product instead of a sponge. You can see that the coverage was fine but the finish was a NO. It emphasized all my lines and the product just sat on top of my skin the ENTIRE DAY. U can see from the image how the foundation is just visible on top of skin. I was also pretty oily so i looked AND felt uncomfortable. I whined to flo about this and she really likes the foundation so she asked me to try it without primer cause that’s what she did. Thinking maybe it’s the primer, I decided to try it a THIRD TIME. I also waited a couple more days cause maybe my skin was funky? Idk lah. I wanna like this product a lot. I masked the night before, I exfoliated, I did everything. Still, u can see foundation sitting on top of skin. It’s just not flattering on me. The thing is, some times, products look better with time. This just starts to sink into my pores as the day goes. I really wanted to like this but my skin absolutely HATES it. And if your skin type sounds like mine, maybe the cushion would be a better choice. I really really really like the cushion. 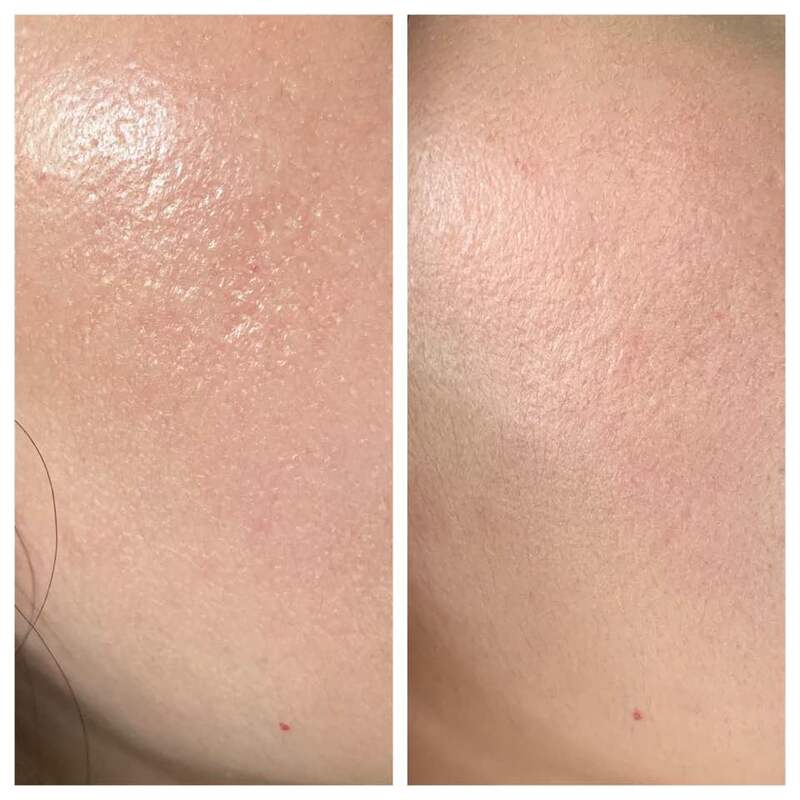 U can click on the link above to see the before and after (huge difference from the liquid foundation!) and I think it’s a pretty worth it set cause the lip serum can also choose any color leh. I went to compile to show y’all better. On the left is the SWS foundation and right is I’m Meme cushion and u can legit see the foundation settling in my pores and it just stays like that the whole day. If you skin has texture like mine, this foundation might be abit hard to work with cause the last thing you want is to emphasize ‘em textures. Go for the cushion cause that doesn’t do that. But if your skin is nice and smooth then this foundation is great lah.